Broad spectrum herbicide for use in non crop situations. If weeds are emerged a tank mixture with an amenity glyphosate is recommended to give both initial control and persistant residual control for up to 5 months. A non-irritant 480 g/ltr biograde total translocated weed killer. Roundup ProVantage gives industrial strength effective control of emerged weed as a directed spray around ornamentals, trees and shrubs in parks, shrubberies, street plantings and roundabouts. 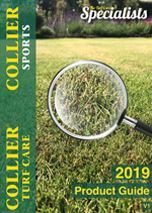 Barclay Gallup Home & Garden is a foliar applied total weed killer to control annual and perennial grass and weeds. It is one of the best weed killers around. Hilite effectively controls annual and perennial grasses and non-woody broad-leaved weed in amenity and industrial areas, parks, highways, paved areas and factory sites. Hilite is also effective for clearing vegetation prior to planting of ornamental species, around the bases of trees, shrubs and roses, as well as in forestry areas. Industrial Strength Weed Killer or Total WeedKiller will kill all weeds and plants it comes into contact with. Here you can buy a complete range of industrial strength or total weedkiller suitable for many applications. By law, everyone who uses weed killer professionally must have received adequate training in using weedkiller safely and be skilled in the job they are carrying out. Please ring 01328 700600 to speak to a Basis qualified member of our team for safe advice on training and qualifications for the safe use of industrial weedkiller. The purchaser and/or end users are responsible for ensuring that these weed killer products are used in line with industry Approved Codes of Practice. All operators must be trained and certificated in using and applying any Ministry Approved professional product. To place an order on our web-site for a professional industrial strength weedkiller you will be asked for confirmation that you comply with the safe use of pesticide legislation, by way of a pop-up. Simply click the button to confirm that you have read, understood and comply with the legislation. Please note the product will not be despatched until we have confirmation that you comply with the safe use of weedkiller legislation.